Everyone loved this French-Muslim singer’s Leonard Cohen cover. Then they read her Facebook posts. (JTA) — In a deeply divided nation that is still reeling from a toxic presidential election last spring, as well as jihadist and racist attacks, Mennel Ibtissem’s performances offered a rare vision of hope. 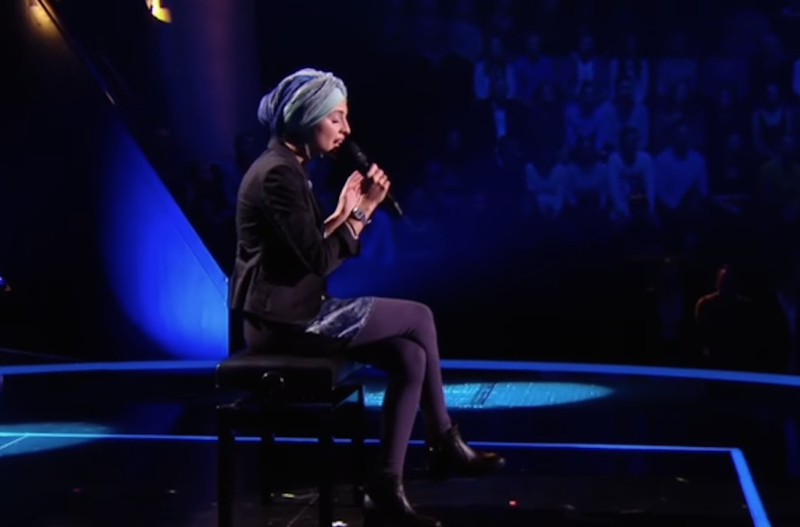 The blue-eyed Muslim woman sang Arabic and French-language renditions of Leonard Cohen’s “Hallelujah” on national television in France while wearing a head cover. She was a favorite on the French edition of “The Voice” talent and reality show, seeming to embody the values of coexistence and tolerance in a country with a notorious integration problem. But in a repeat of recent scandals involving ambassadors for diversity in Europe, Ibtissem’s social media activity showed a different side of her — one that spread pro-Palestinian propaganda, conspiracy theories and accusations that the French state, not jihadists, is responsible for terrorism. There is no Islam with a Happy Face. Cult members hate, it’s what they’re taught. This girl’s beliefs are not fringe but mainstream within the Muslim community.